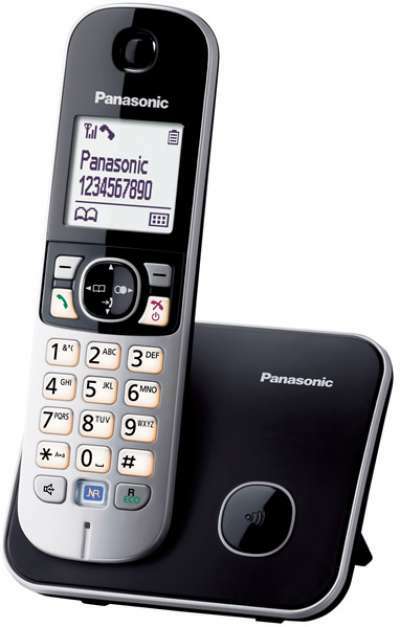 cordless phone with large 1.8" easy-to-read display with white backlight. 120 names and number share phonebook. 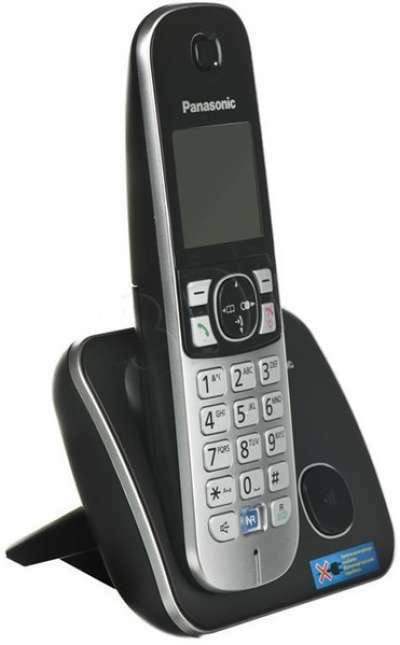 Hands-free speakerphone on handset. Incoming/ outcoming call barring. 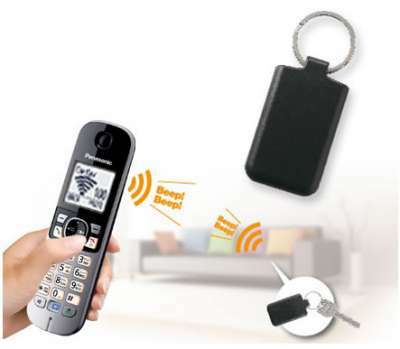 Key finder compatible (optional key finder: KX-TGA20): The cordless handset will detect lost items. 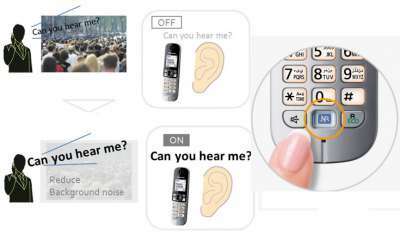 Noise reduction function: Reduce background noise of other party. Advanced alarm clock (once, day option, daily, snooze function). Polyphonic ringer on handset (30 Melodies/ 10 Tones). Clear sound. Nigh mode: Program your handset to ring only when convenient. 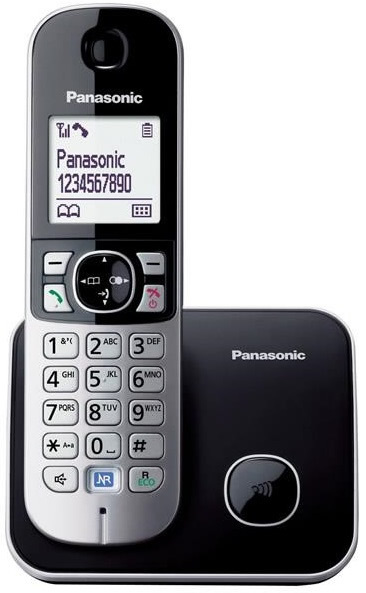 Locator button to find misplaced handset. Key Lock. Battery life: Up to 15hours talk time/ 170 hours on standby.